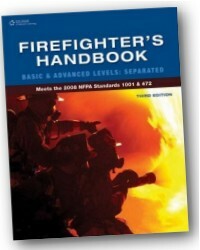 The legal guidance that fire service leaders have been seeking can finally be found in one book! This all-inclusive legal reference includes discussions, cases and examples that will truly speak to a variety of fire chiefs and officers, municipal officials, emergency managers, and attorneys. 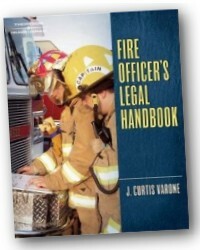 The book includes explanations of laws as they relate to firefighting, and covers a broad range of topics including negligence, due process and discipline, Internet privacy, civil liability, employee issues such as drug testing, rescue doctrine, fireground search and seizure, and much more. Detailed case summaries and examples from the most significant disasters in fire service history - including the 9/11 attacks, the Worcester Cold Storage fire, the MGM Grand Hotel fire, and more - help lend a real-life aspect to the legal topics at hand. An accompanying back-of-book CD-ROM includes over 5,000 laws from all 50 states that apply to the fire service, covering topics such as line of duty injuries, residency requirements, and liability. In addition, every arson law in the United States is listed on this valuable CD, which is easily searchable and navigated. Types and Sources of Laws. Contract Law and Employment Issues. Labor Law and Collective Bargaining. Sexual Harassment and Other Forms of Employment Discrimination. Fair Labor, Family Medical Leave, Residency and Drug Testing. J. Curtis Varone has been in the fire service for more than 33 years, with experience as a volunteer, paid on-call, and career firefighter. He also has twenty years experience as a practicing attorney representing firefighters and fire departments. Curt is currently a Deputy Assistant Chief and shift commander with the Providence Fire Department in Providence, Rhode Island. He is also an Adjunct Faculty member of the National Fire Academy, Executive Fire Officer Program and of Providence College's Fire Science program. 752 Pages - 8-1/2 x 11 in.